SALT LAKE CITY August 12, 2015 – Utah Attorney General Sean Reyes today joined Colorado Attorney General Cynthia H. Coffman and New Mexico Attorney General Hector Balderas in Durango, Colo., to share information and discuss the immediate and possible long term impacts of the Environmental Protection Agency’s (EPA) Gold King Mine spill. 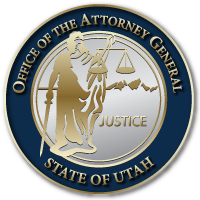 Upon notice of the disaster, a team of lawyers from the Office of the Utah Attorney General lent support to the vitally important actions of its clients including the Utah Departments of Environmental Quality and Public Safety – and their Divisions of Water Quality and Emergency Management. These agencies began immediate monitoring of impacts to Utah’s waters and evaluating short and long-term health, environmental and recreational impacts to Utah citizens and tribal nations along the San Juan River. Currently, citizens can make compensation claims directly to the EPA and the Utah Attorney General’s Office will advocate for timely and fair review of such claims. State, county and local officials are collaborating to protect and assist Utah citizens in this emergency while attempting to get answers from the EPA and hold the agency fully accountable for its actions.